With a selective presentation of topics that makes it accessible for students who have taken introductory university science courses, Understanding Nanomaterials is a training tool for the future workforce in nanotech development. 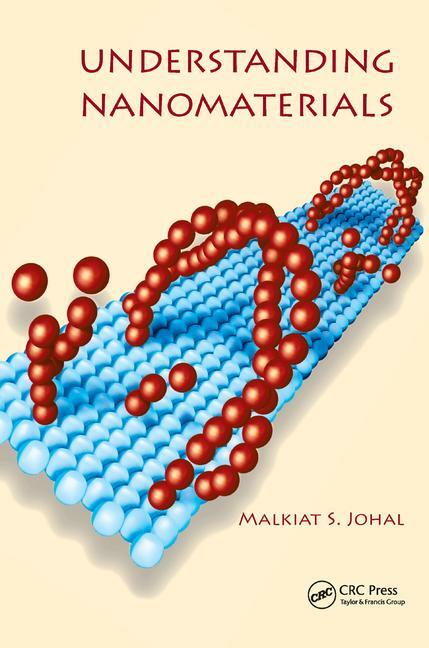 This introductory textbook offers insights into the fundamental principles that govern the fabrication, characterization, and application of nanomaterials. Provides the Background for Fundamental Understanding Assuming only a basic level of competency in physics, chemistry, and biology, the author focuses on the needs of the undergraduate curriculum, discussing important processes such as self-assembly, patterning, and nanolithography. His approach limits mathematical rigor in the presentation of key results and proofs, leaving it to the instructor�s discretion to add more advanced details, or emphasize particular areas of interest. With its combination of discussion-based instruction and explanation of problem-solving skills, this textbook highlights interdisciplinary theory and enabling tools derived from chemistry, biology, physics, medicine, and engineering. It also includes real-world examples related to energy, the environment, and medicine. Author Malkiat S. Johal earned his Ph.D. from the University of Cambridge in England. He later served as a post-doctoral research associate at Los Alamos National Laboratory, New Mexico, where he worked on the nonlinear optical properties of nanoassemblies. Dr. Johal is currently a professor and researcher at Pomona College in Claremont, California. His work focuses on the use of self-assembly and ionic adsorption processes to fabricate nanomaterials for optical and biochemical applications.